Does terrorism have a unique and significant emotional and behavioral impact among adults and children? In what way does the impact of terrorism exceed the individual level and affect communities and specific professional groups, and test different leadership styles? How were professional communities of mental health clinicians, policy-makers and researchers mobilized to respond to the emerging ne… eds post disaster? 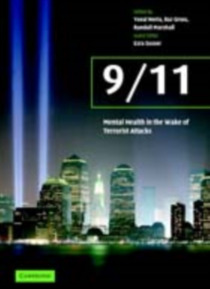 What are the lessons learned from the work conducted after 9/11, and the implications for future disaster mental health work and preparedness efforts? Yuval Neria and his team are uniquely placed to answer these questions having been involved in modifying ongoing trials and setting up new ones in New York to address these issues straight after the attacks. No psychiatrist, mental health professional or policy-maker should be without this book.